As I find more deals and match-ups I’ll add them so check what you want now and swing back before heading to the store. Too, I don’t post everything, but only the best deals/match-ups that I can find (where you can save more than 50%). As I do miss deals from time to time, if you spot other great deals let me know and I’ll be MORE than happy to add them. 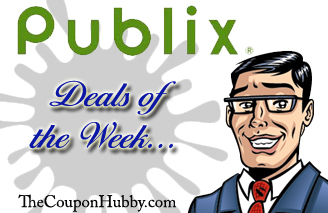 Not sure of the Publix Coupon Policy: Click Here.